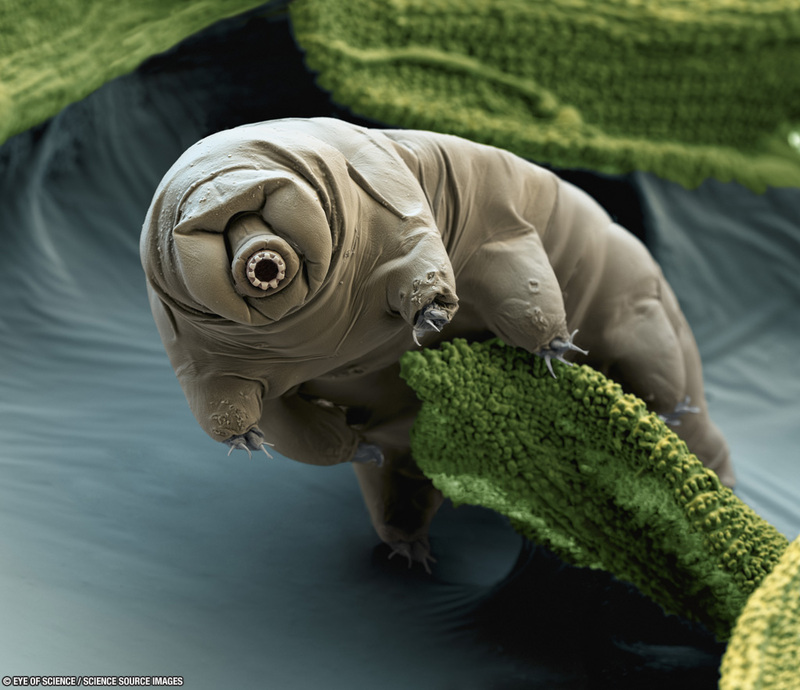 So, if you think elephants or cockroaches are tough, that could be because you probably haven’t heard about these amazing creatures called Tardigrades (picture). Survive without water and food for 10 years. Waddle away in the vacuüm of space (for 10 days & get exposed UV radiation), come back and walk around as if nothing happened. Survive 1000 times more radiation that would kill an elephant. Repair their own DNA after getting exposed to lethal amounts of radiation.